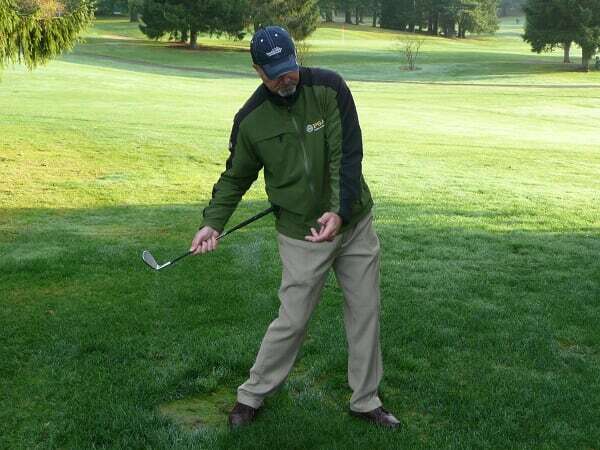 There is so much confusion about how a golfer unwinds in the down swing it just makes me shake my head. This is one of the most simple and natural moves known to man. Ben Hogan simply showed you by throwing a ball. Here is another drill that Hogan among others would use to get the correct feeling of how simple this move is. 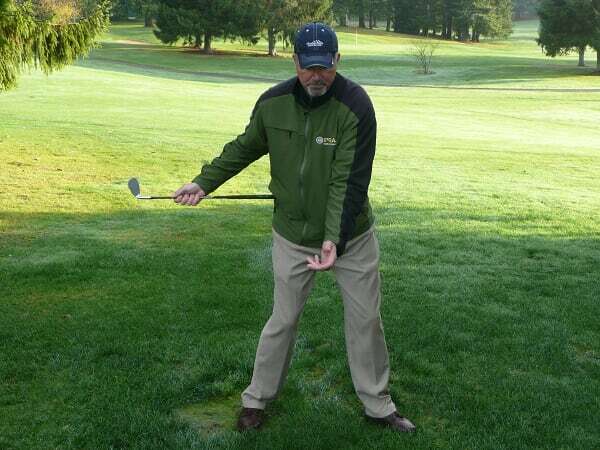 First, set up like so with a club on your hip and your left arm in this position. I am using a junior club here but you can use any club in your bag. Here is where players get when there getting stuck usually from working on shear crap. 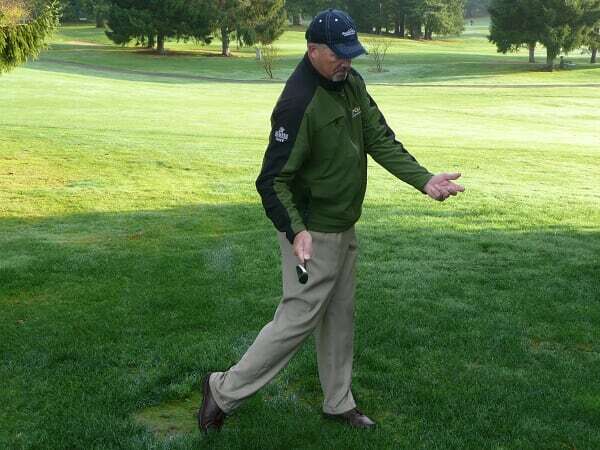 This is EXACTLY where Hogan was in his pictures in the book Power Golf. This is from people working on sliding, or trying to get the right leg or knee to work towards the left in the down swing. Another train wreck of a thought would be to think of the left knee going to the target in starting the change of direction. These are some of the worst thoughts ever, and I hear instructors preaching this all the time. Your right foot, knee, hip and entire side MUST work to and through the ball towards the target to ever have a chance of unwinding correctly every time, keep pressure in the shaft, and come at the back of the ball not the side. Many players I work with actually FEEL the right hip hitting the ball, this is how fast the club and body are moving TOGETHER with the great swings. Think this guy figured it out? This is perfect, look how the upper left arm is GLUED to his Pec and Lat and simply hinging at the elbow, and how his ENTIRE right side is HITTING the ball, his hands have not rotated a lick. He is pulling with his left side as hard as he is pushing with the right. If you stopped him here moved his body back to address he would be right where he started. EVERY player worth a damn is here, NO EXCEPTION, and it is so easy if you know what to work on! !